Legendary privateer who inspired many a rogue to follow in his footsteps. Sir Christopher Myngs was born at Norfolk and joined the royal navy as a cabin-boy. Staying with the navy he would rise through the ranks to become captain. In January 1656, he brought the 44-gun frigate "Marston Moor" to Jamaica which had been recently occupied by English forces. From here he took part in a raid upon Santa Marta, Venezuela in May, 1656. In January, 1657 he took command of the naval squadron anchored at Jamaica. In October 1658, Myngs having his eye on the Spanish treasure fleet, hid his squadron along the Central American coast. When the treasure fleet arrived however, Myngs' forces were not up to full strength for several English ships had left to obtain fresh water. The "Marston Moor" and another ship passed through the 29 Spanish ships trying to scatter them but they were unsuccessful. With his plan failing, the English fleet burned Tolu ( now in Columbia ), captured two large ships in the harbor, and devastated Santa Marta. In 1659 he sailed east against prevailing head winds in a daring effort to take Spanish colonists by surprise. His plan worked, for Myngs taking only the "Marston Moor" and two other warships, plundered Cumana, Puerto Caballos, and Coro in Venezuela. (Myngs' booty was the largest haul ever taken into Jamaica, estimated at £ 200,000 to £ 300,000.) At Jamaica, the booty was split and Myngs refused to give the government any share in the prize. He was arrested by the governor of Jamaica and sent back to England to be tried for his offense. When word of the huge plunder got out, dozens of pirate captains from all ports of call, came to Port Royal wanting to be among those who sailed with him. Now, back in England, King Charles II was returned to power and during the confusion, Myngs' charges were dropped. 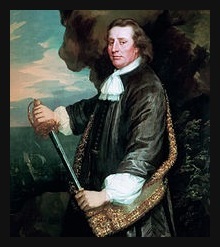 He returned to Jamaica in command of the "Centurion" in 1662. In October 1662, Myngs had captured Santiago which was Cuba's second largest city. The Spanish fortress was blown up and six ships were captured. Myngs next with government consent launched a second expedition. His fleet consisted of 12 pirate ships and 1,500 buccaneers. His force was comprised of English, French, and Dutch men. His reputation of bringing in large hauls attracted notable captains such as Edward Mansfield and Abraham Blauvelt as well as younger pirates such as Henry Morgan, John Morris and Jack Rackham. In February 1663, Myngs' force had taken control of San Francisco in the Bay of Campeche. San Francisco was a large town which had never been attacked. 14 Spanish ships were taken as well as 150,000 pesos. The Spanish government was outraged at the sacking of San Francisco and Santiago and halted the sailing of the treasure fleet until warships could arrive. The Spanish protests to the English government were persuasive for King Charles II forbade any future assaults in April 1663. Myngs not having any reason to stay in the Caribbean went back to England in 1665, where he became vice-admiral of a squadron fighting the Dutch forces in the English Channel. For his actions for the crown, Myngs was knighted in the same year. In 1666 he was wounded in battle and died shortly thereafter as a result of his wounds.